Firstly, it is material viscosity. The control of material viscosity has an important influence on the working efficiency of screw conveyor. If the material viscosity is high, it is easy to stick to the screw blade and the inner wall of conveyor, which will increase the conveying resistance. Secondly, it is diameter size of screw. When selecting supporting devices, only suitable size of screw, can achieve perfect performance. Finally, the factors of concrete mixing plant conveying inclination and conveying distance, material diameter, water content, water content and the speed of the equipment can also affect working efficiency. Therefore, when choosing concrete batch plant, customers must have a good understand of the equipment. 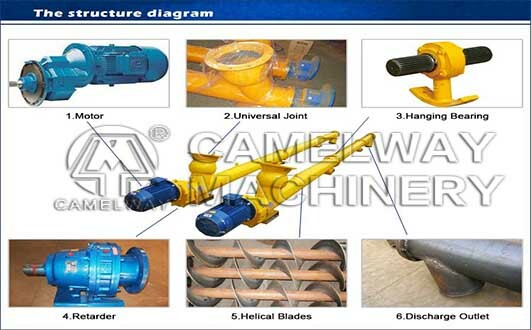 As an experienced concrete mixing equipment manufacturer,Zhengzhou CamelWay Machinery will offer clients processional advice to choose the most suitable concrete mixing machine.